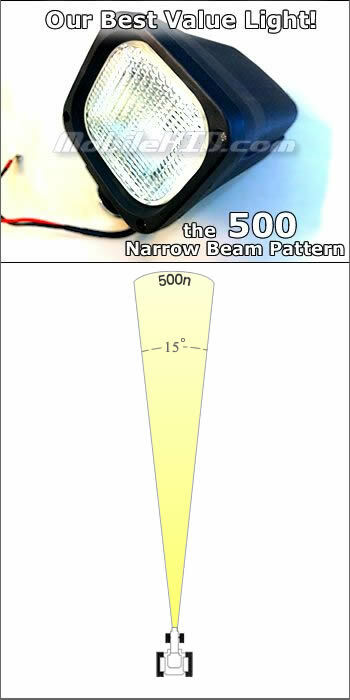 The 500 can be mounted on any vehicle and is best for long distance illumination. 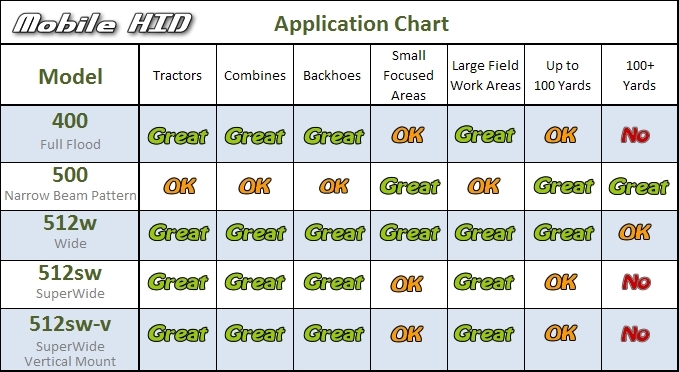 When we tested the 500 in the field, we actually had to use Google maps to check the distance between the machine it was on and the building we were lighting up. The building was 1,000 feet away. The one-piece design ensures water resistant functionality and allows for easy installation as an entirely standalone HID unit. With its INTERNAL BALLAST simply connect your power and ground and bolt it into place. Dimensions:Dimensions: 5" wide, 6" deep, 6" tall from mounting point to top of light housing. In stock and ready to ship with a 1-year full replacement warranty!